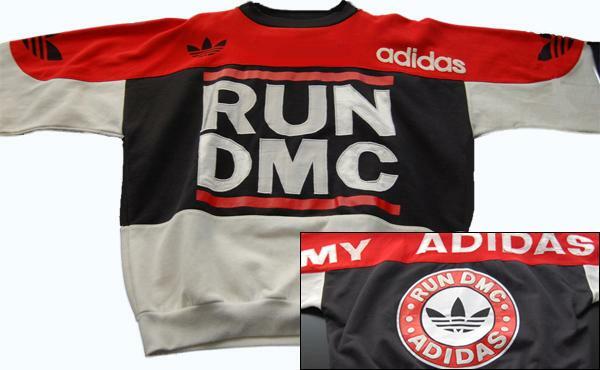 What the Seller Says: This vintage “run dmc” released around the 1980s, so it is impossible to find now. As you can see in the pictures below, the sweatshirt does show some minor stains and its kinda ripping on the lettering, but hey its VINTAGE! What we Say: This is an iconic shirt on so many different levels. When “My Adidas” played over the airwaves in 1986, “we need a rapper to mention us in a song” has been played out in marketing boardrooms ever since.